Seawind is a family-friendly, luxurious beachfront vacation condo in Gulf Shores, Alabama with an on-site vacation rental management company, Southern Rentals and Real Estate. 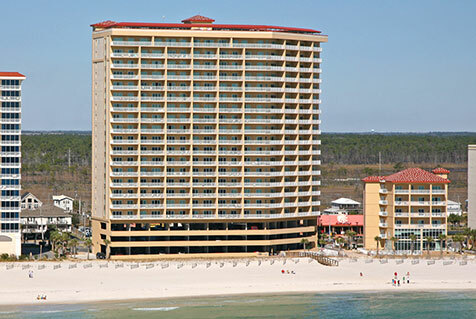 Seawind rests directly on the world-famous beaches of Alabama’s Gulf Coast, with all units facing the Gulf of Mexico. From your condo, you will enjoy captivating views of the emerald green waters, miles of sugar white sand and spectacular sunsets. Our Seawind condos feature two bedrooms, a bonus room and two bathrooms. Most can accommodate up to six or eight guests. The condos offer everything you need to feel at home including quality craftsmanship, high-end finishes, washer and dryer, cable television, free WiFi and well-appointed bathrooms. The kitchens at Seawind have granite countertops, stainless steel appliances, a dishwasher and a breakfast bar and are equipped with dinnerware, pots, pans and small appliances. Our rentals include linens, towels and washcloths, too. Just bring your own groceries, beach towels and sunscreen, of course, and enjoy! The building has a heated indoor/outdoor beachfront swimming pool, a zero entry outdoor children’s pool with fun water features, a beach view hot tub, a state of the art fitness center and free covered parking. Seawind is centrally located near local Gulf Shores’ activities, attractions and dining. Here, you will have easy access to restaurants, deep sea fishing, parasailing, wave running, shopping, The Amphitheater at the Wharf, Waterworld USA and the Gulf Island National Seashore. Several local shops, restaurants and bars, including popular destinations such as The Hangout and Sea and Suds are within walking distance of Seawind. 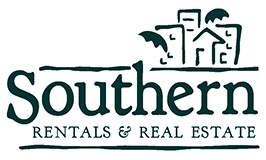 Southern Rentals and Real Estate is excited to be the local, on-site vacation rental management company at the beautiful Seawind condominium. Since 1995, Southern has been providing sweet Southern moments for vacationers to the Gulf Coast and we look forward to helping you plan your next Seawind beach vacation. Visit us online or call us today!